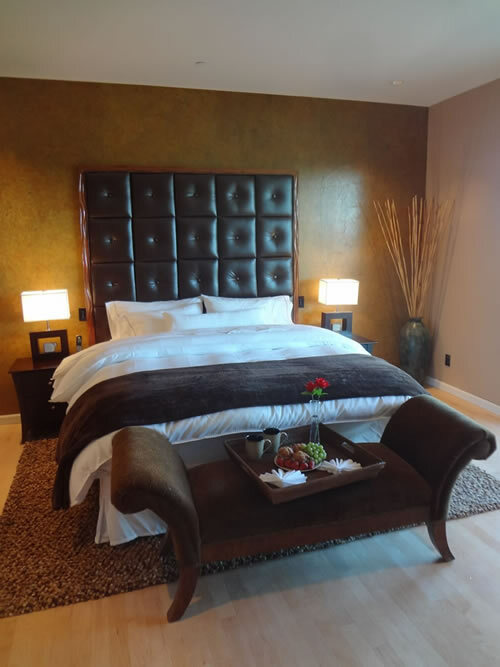 AccommodationsEnjoy complete privacy in your own 1,500 square foot luxury home. 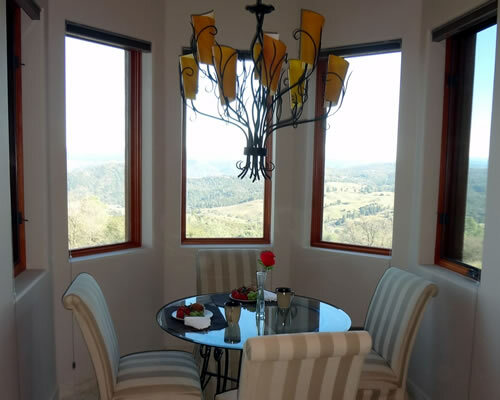 Large sliding glass doors lead you to your own private terrace where you may revel in the breathtaking panoramic views of the majestic Sierra Nevada Mountains, gentle rolling hills and picturesque vineyards that dot the landscape. 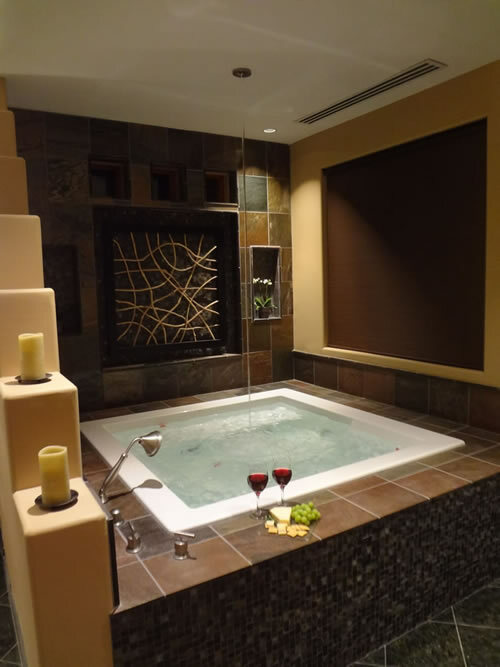 Enjoy pure relaxation in your own oversized spa tub for two complete with massaging jets, angled backrests, and a ceiling tub filler. Spa robes and slippers are provided for your ultimate comfort during your stay. 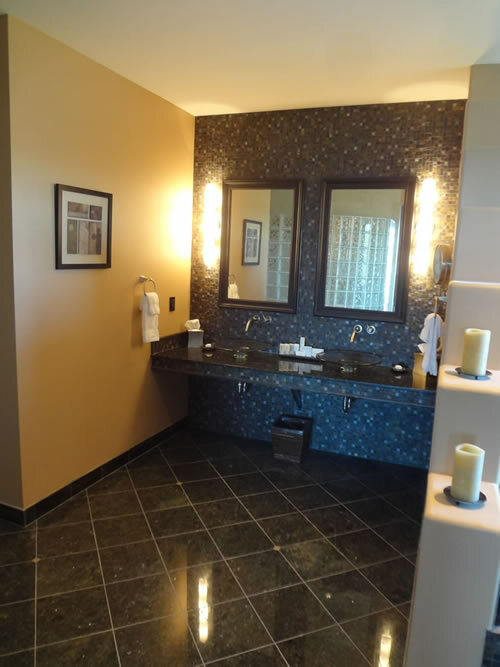 The spacious master bath also features two beautiful glass vessel vanities, imported mosaic tile, and exotic granite floors with inlay bronze medallions. The master bedroom features The Westin Heavenly Bed® in a generous California king size. The bed’s unique pillow top mattress, plush pillows, luxury sheets and down bedding wrap you in extraordinary comfort to create the perfect foundation for a deep calming sleep. 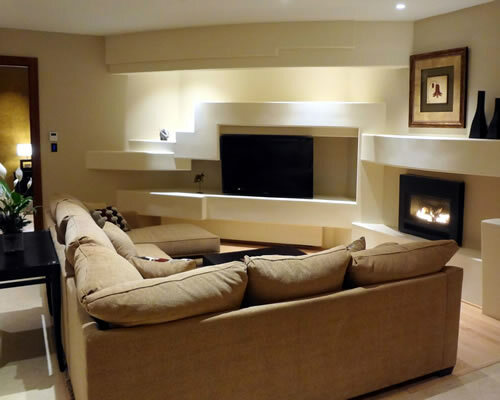 The spacious living room provides a beautiful warm environment to read, relax or watch TV. The beautiful sculptural custom media wall features a 55” LCD screen high definition television, a Polk Audio Surround Sound bar and a DVD player so that you may enjoy a movie or your favorite shows. 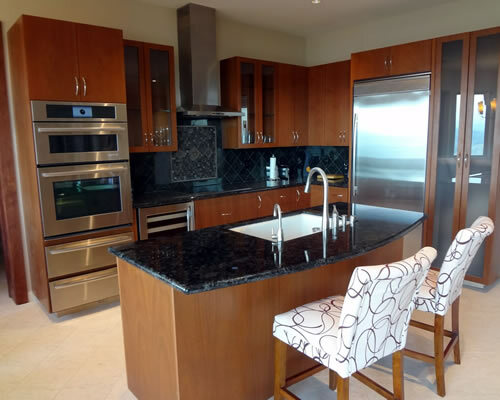 The home’s gourmet kitchen features top of the line appliances and a wine chiller so that you may whip up a snack or enjoy your favorite wine at it’s optimal temperature. While dining, you may take in the breathtaking views of the Sierra Nevada Mountains from every angle in your own cozy breakfast nook. Rate $385.00 + Tax per night, includes Complementary Welcome Basket. For further information or to make a reservation please call (916) 358-5600. Full payment of room and tax is required at time of booking to secure your reservation. Friday and Saturday night require a 2 night minimum stay. Revisions or cancellations must be made 21 days prior to scheduled arrival date in order to receive a refund. Within cancellation period you will be responsible for the entire amount of your stay.